Winter is the preferred season of most of the people. The days get shorter, the mornings get cooler, and the landscapes are covered in a rich blanket of snow. We love to snuggle by the fireplace with a hot chocolate and our favorite book. That’s not all! Winter is the month of exciting holidays too, especially Christmas, the most joyous and pompous festival. And not to forget Hanukkah, the most important festival of the Jews. 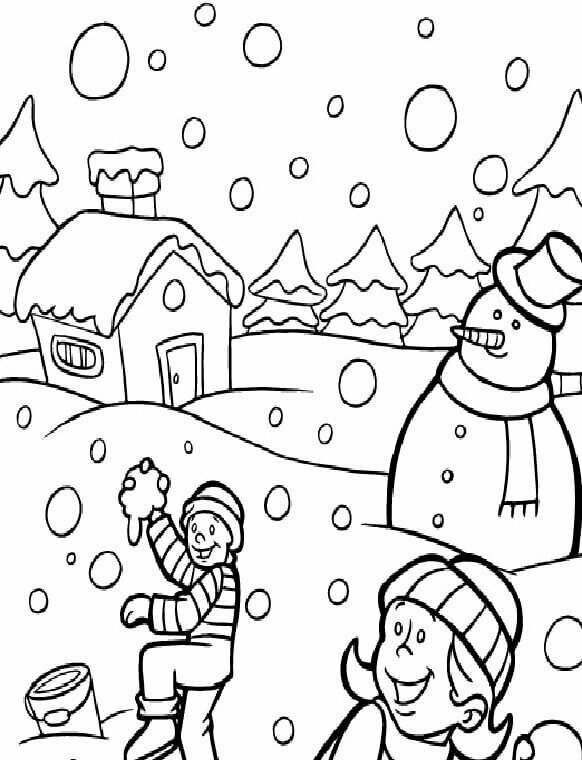 Even kids enjoy this season to the fullest, by making snowmen, going sledding and throwing snowballs at each other. 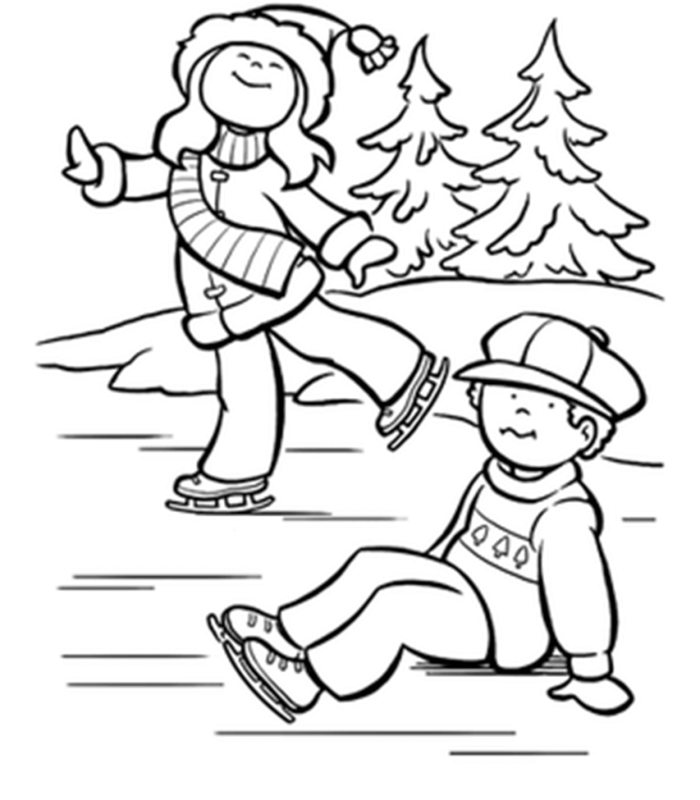 In their free time, children indulge in some activity too, filling coloring pages being their favorite. 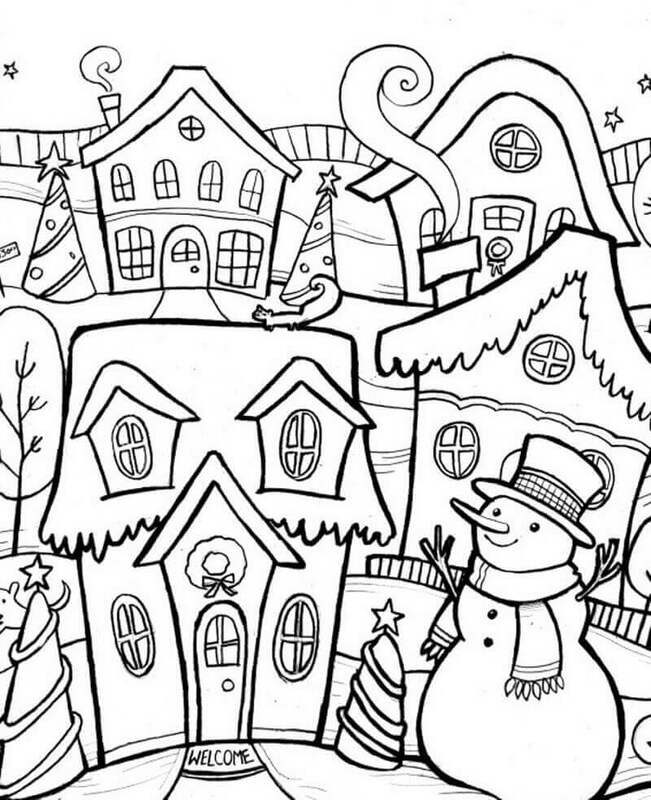 Hence, we’ve come up with a compilation of free printable winter coloring pages. 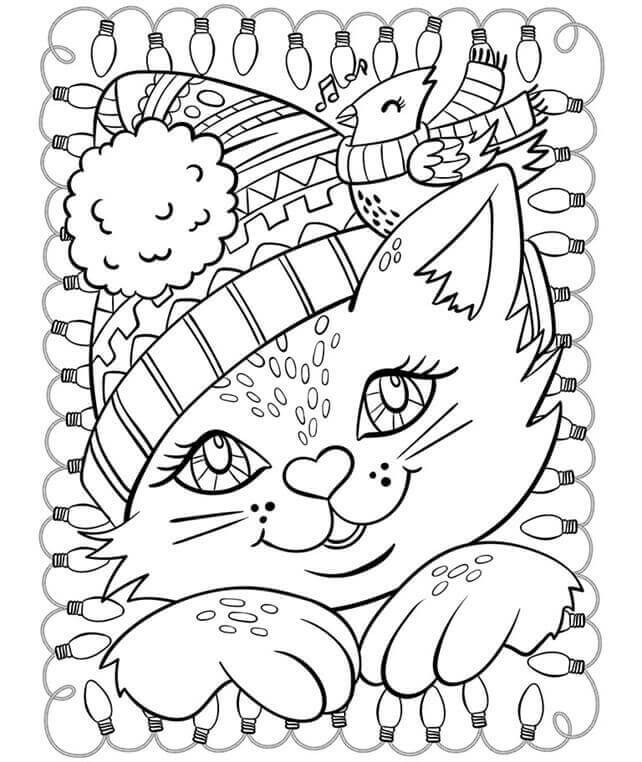 Check out the latest and exclusive winter coloring sheets below! 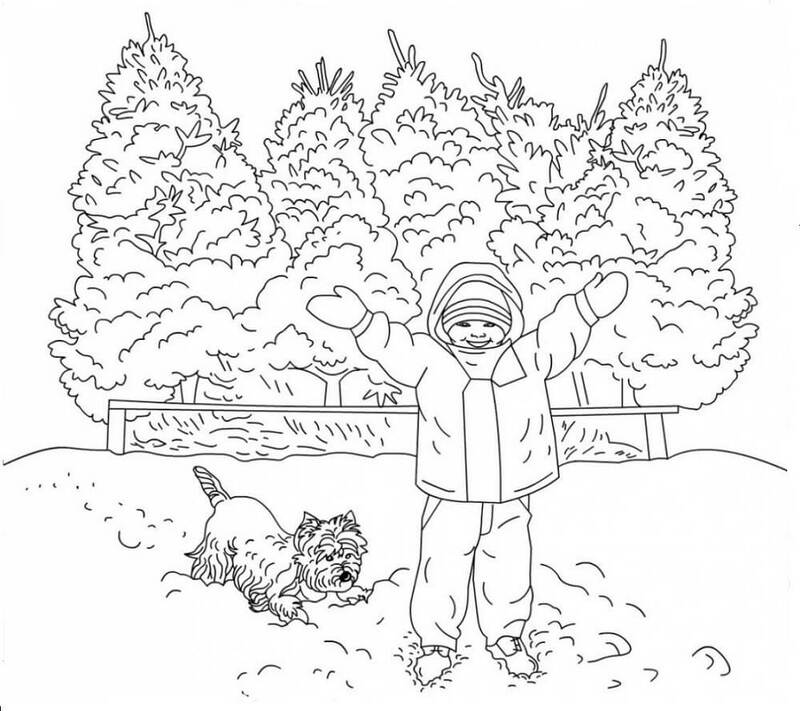 We’ve included some beautiful and detailed winter coloring pages, snowman coloring pages, snow coloring pages, winter wear coloring pages and even winter animal coloring pages. So peep on! Have you heard about snow-deer? They are the white and are only found in cold places where snow falls heavily almost all year. They love to play in the snow. This baby deer asked his mother to play with him as his friends were away on vacations. He wasn’t able to go as his father wasn’t given leave from his office. This is Millie, and she loves winter season a lot. The reason is that she loves her pink hat and wants to wear it all the time. But as the hat is woolen, she can’t wear it in summer. So when winter comes, she takes it out of the storage box and wears it for the rest of the season. Mickey and his friends were out on a road trip. For the night, the stopped their car and decided to stay in a hotel to sleep. When they woke up next morning, the whole area was covered with white fluffy snow. Even their car was half into the snow. Seeing that they can’t drive today, they started playing with snow and ended up participating in Snowman Building Competition. This is a photograph of Mickey and Pluto building a snowman when they were little kids. 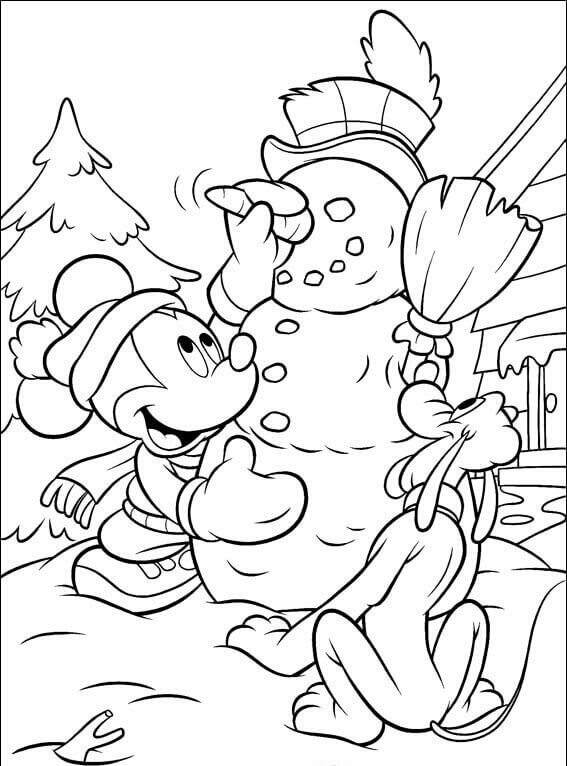 The chubby cute Mickey and Pluto went rummaging through the whole house to find a nose and hands for their snowman. In the end, they were able to make the best snowman in the whole locality. Sasha and Mike love sledding. When their parents told them that they were going on a vacation near a snow-capped mountain, they were happy beyond limits. They got their warm clothes packed safely in a suitcase. As soon as they reached the mountains, they went straight to the sled shack and got the best, safest sled for themselves. They enjoyed sledging all day long that day. When Mike and Lana were going for a vacation with their parents, they were happy to try Ice-skating finally. Mike then challenged Lana that he is a better skater than her and can easily win any match. When they reached there, she practiced all day while he just slept in the hotel room. 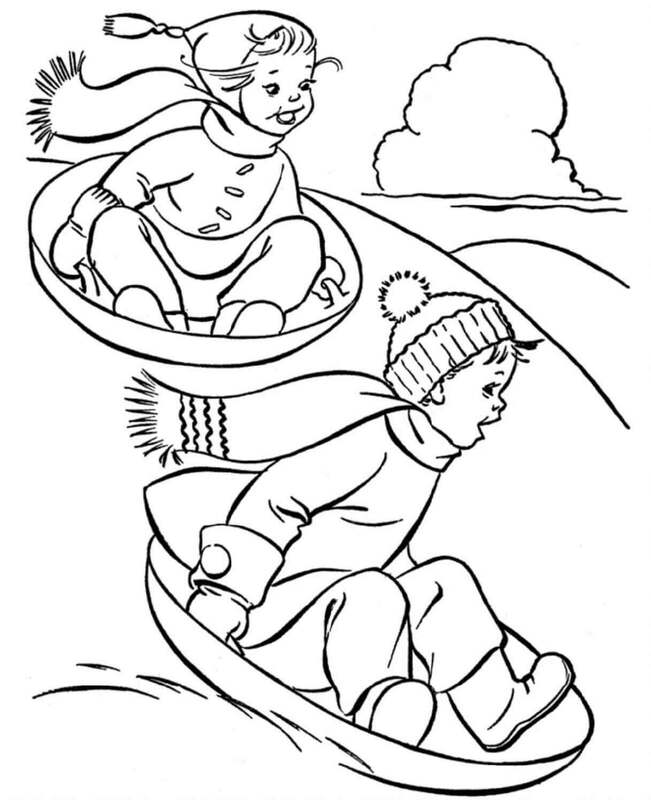 When the day of competition came, Lana went whizzing down the hills while Mike slipped and fell down. Zibbie made snowman every day during the winters. But as the sun got hotter and the summer approached, the snowmen started melting faster. Next morning, he was shocked to see that the snowman he built yesterday was nowhere to be seen. Later his mother explained that the snow melts away when heated a lot. Snowman building is an art, and it requires a lot of practice. Nina and Trevor practiced all winter for the final competition that is conducted by their school. When the snow started falling heavily, they practiced by making small snowballs. They were ready for the competition very soon. 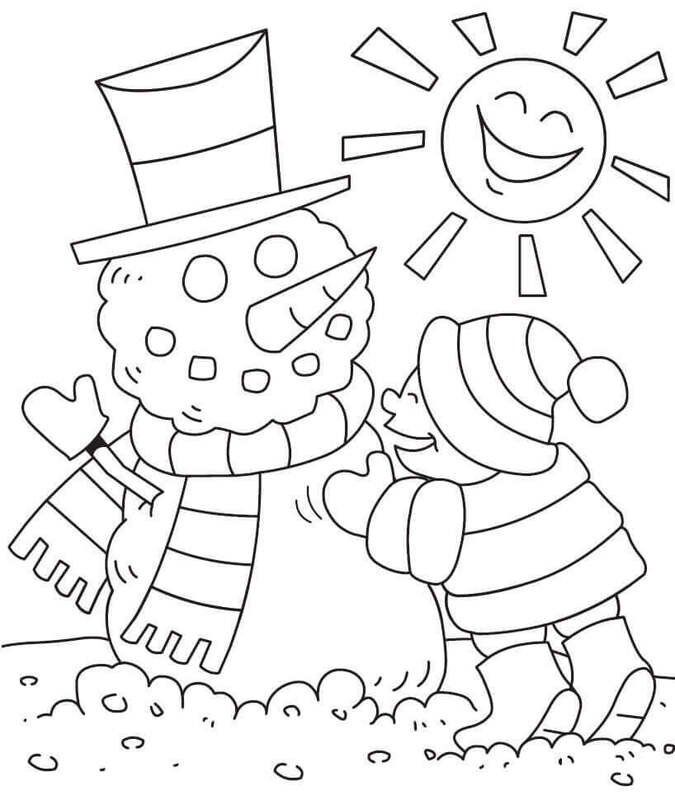 Maria and Zana are decorating their snowman. They got many things for their snowman. They also wanted to keep their snowman warm as it was very cold outside. They brought a very bright and colorful scarf to keep him warm and a carrot for his nose. Who doesn’t love warm cakes during winter? As there are so many festivals that need cakes to complete it, a lot of baking also goes on. For baking, we need mittens. The mittens that are colored by you in bright and wonderful colors. 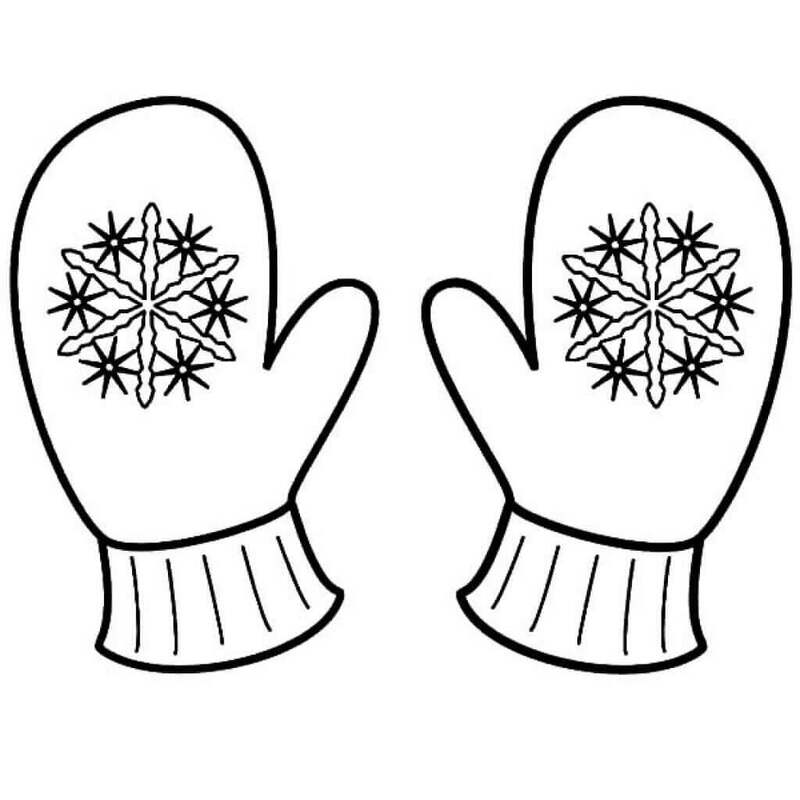 You can choose the color of the mittens you want your baker to wear. 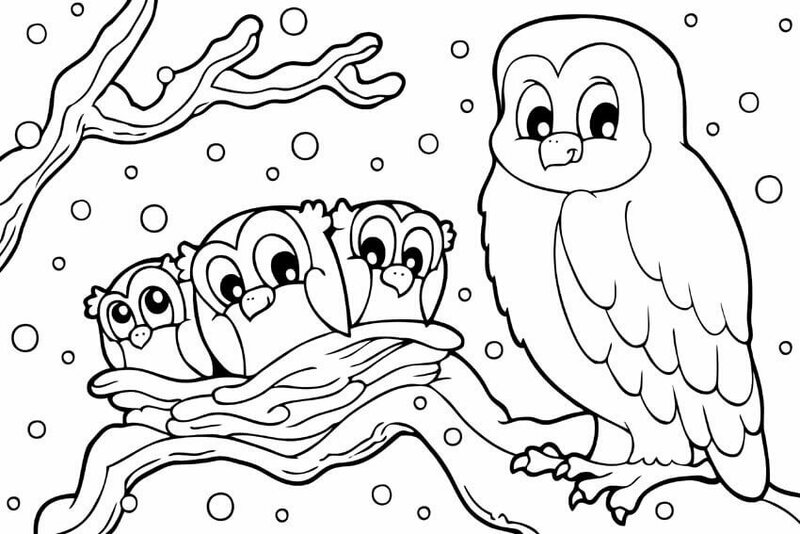 Mama owl and her children love winter season. They can cuddle with each other in their nest during winters. Mama owl flies in search for food in the morning and comes back to her children by afternoon. Then they eat and cuddle together to keep warm. As the sun goes down and the cold increases, they hug each other closely and sleep. Missus penguin was going out for some shopping when she saw that the snow had covered the front yard completely. 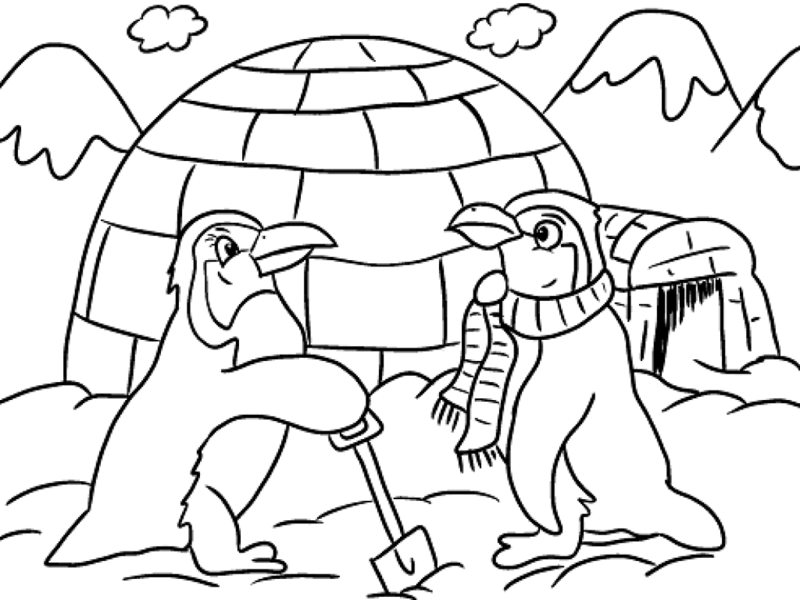 Then she had to wake Mister Penguin up so that he can shovel the snow out. After an hour of shoveling and hard work, Mister Penguin was finally able to clear the snow out of the pathway. Sometimes Roger-the snowman feels very lonely. He is the only snowman in a long stretch of road. He imagines of having some friends, talking to them and having fun with them. He had a friend very long time ago, but then the snowman’s owner moved to some other place, and he lost a friend. Color Roger up so that he can be happy to see colorful surrounding and misses his friendless. Mina and her little brother built a snowman with the help of their parents. As all of them worked really hard, the snowman was gigantic and strong. The little brother was worried that the snowman would catch cold if he stayed outside and wanted to bring him in. When Mina saw that doing that wasn’t the smartest thing, she told him that they would tie a scarf around his neck to keep him warm. He happily agreed. 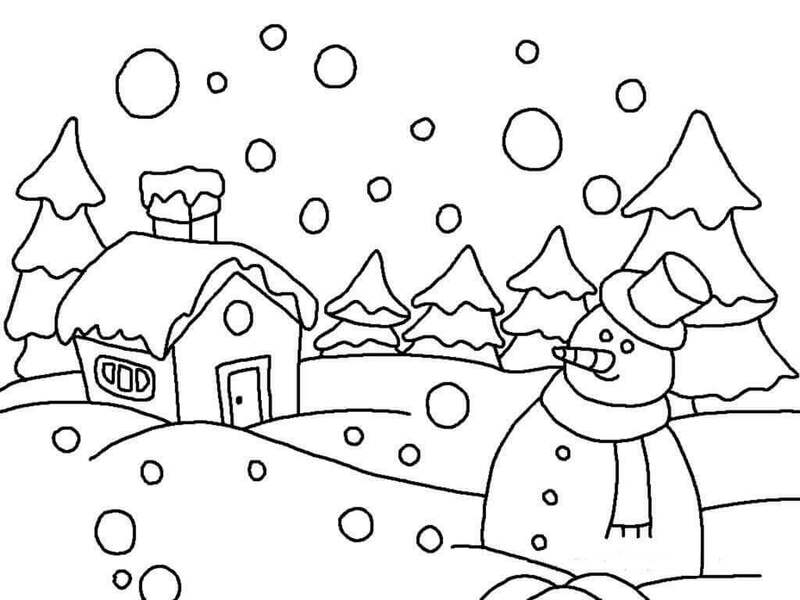 Snowmen also travel to faraway places as they need to meet their friends and relatives. Earlier they had problems as there were no vehicles that transported them to the destination. They had to walk on their own. One day an intelligent snowman thought about starting a bus service for all the snowmen. He started with one bus, and now he has a whole fleet of them. 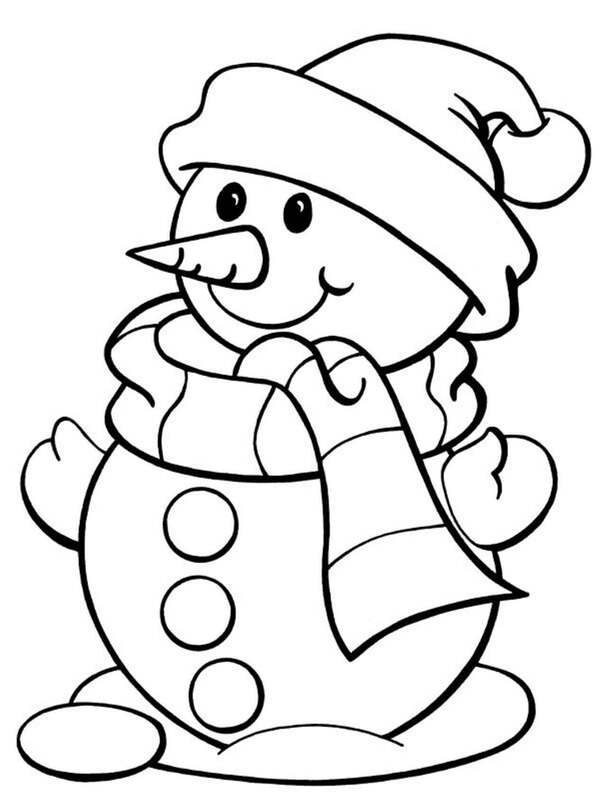 All the snowmen are also happy as they get to visit their friends and relatives easily and frequently. The magicians are experts when it comes to making the snow fall. 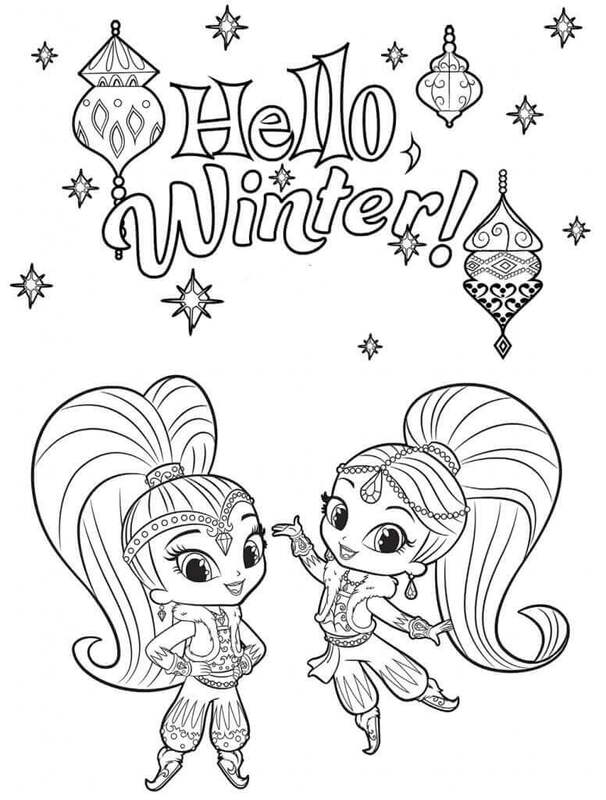 These two little princesses of magic world, Shimmer and Shine are trying to make their first snowflakes. They worked very hard, and now they are organizing a show to show their skills to their family. 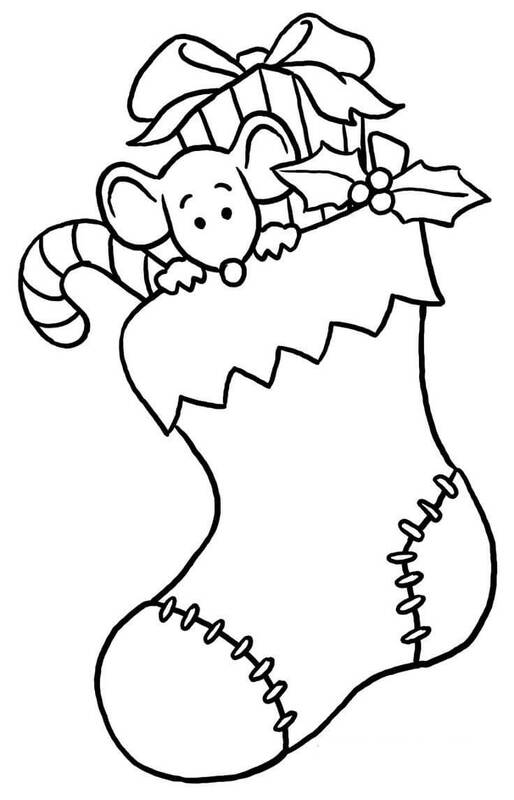 They put on a hello winter decoration and wants you to color them and the decorations before the show starts. Winter brings a lot of snow and fun with it. It is the time to get creative with new ideas to play. Mira and Sam’s sleds are out for repairing and upgrading, but they didn’t want to miss the fun of first snow. So they got the special snow baskets from storage and went out for sledding. Snowball fighting is pretty popular among the children of Oaks Valley School. Every year when its snow day and too snowy to go to school, they dress up in the warmest of clothes and come out for a snow fight. They have been doing this for years and now are experts in making snowballs. Let’s see who wins this year. This is the place where all the snowmen live. They have their families and friends here. It is always winter where they live. 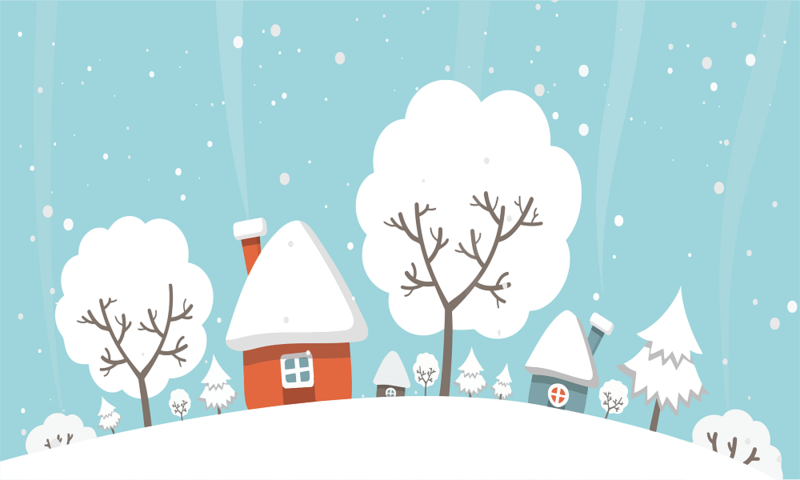 Their houses are made up of snow and so are their roads. Their locality is still colorful as they color their snow every year. They heard this year that you are an amazing painter. So they came to you asking to color their houses in beautiful colors. Mikey is a happy snowman. He loves winter season and plays all day with his friends. His mother always makes him wear a nice warm scarf so that he never catches a cold. This time when his mother washed the scarf, the colors faded away leaving the scarf white. So she told him to go to you to have the scarf recolored in bright colors. When Rattata came back from collecting food, he felt very cold. The winter and snow were at their peak. It was snowing heavily outside. He quickly made some dinner, ate it and curled up in a warm woolen sock to keep himself warm. He is feeling very nice and warm now. Minnie always wanted to be Santa of Snowland. She loved the way Santa spread happiness amongst the children. When her mother saw her being sad that she was not selected as Santa this year, she suggested her something that can make her Santa. Minnie then took all her old toys and clothes that didn’t fit her anymore and filled a bag with them. She then took the bag to those children who don’t have many toys and gave those to them. They were very happy and she finally felt like Santa. Do you know your winter clothes? 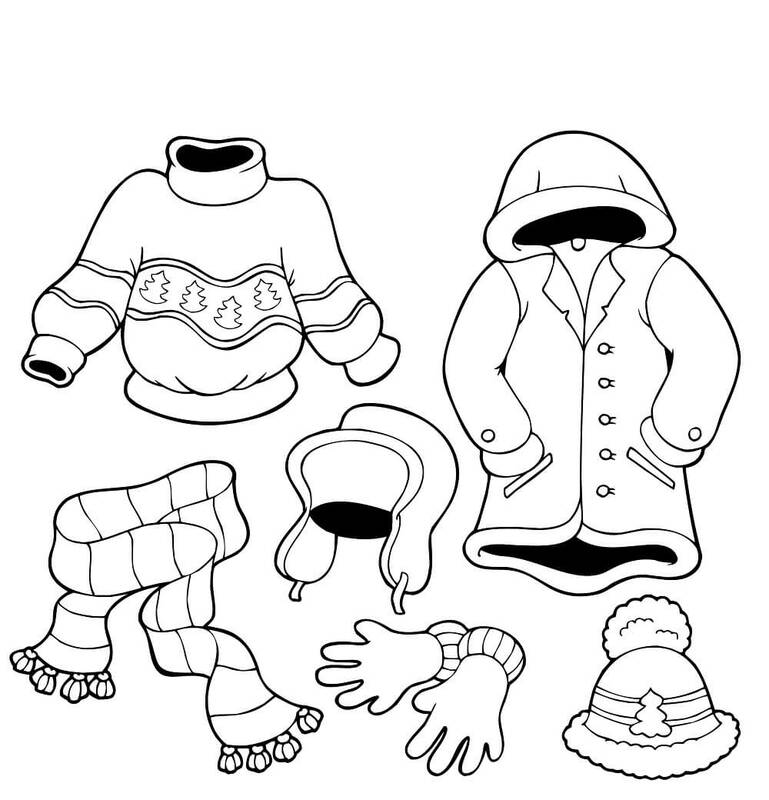 Here are some of the clothes that are called winter clothes. Can you name all of them? Let’s play a game. If you are able to name a cloth, then you can color it. Ask your parents and other people but when you’ve colored the clothes, show it to your friends and tell them the names as well. Mona and Lana live in a place where it snows during the winter season. The weather was very cold today and Mona wore warm clothes to go to Lana’s home. She wanted to play with her. When she reached her home, it started to snow. It was the first snow of the season. Both of them were very happy to see the snow. Max and his pet dog Timothy are in Winter Wonderland. Their parents wanted to take them to someplace where they can enjoy their holidays. So when snow started falling heavily in Winter Wonderland, they quickly booked a ticket and got there. Timothy and Max played in the snow all day and had a lot of fun. Today as soon as Mina and Ben came back from school, they ran to their father who was working in the garage. They wanted to see their new sledge that their father promised them for this winter. When they reached there, they saw a shining, new bright red sledge next to the car. They were very happy to see it and went out for a sledging as soon as they can. 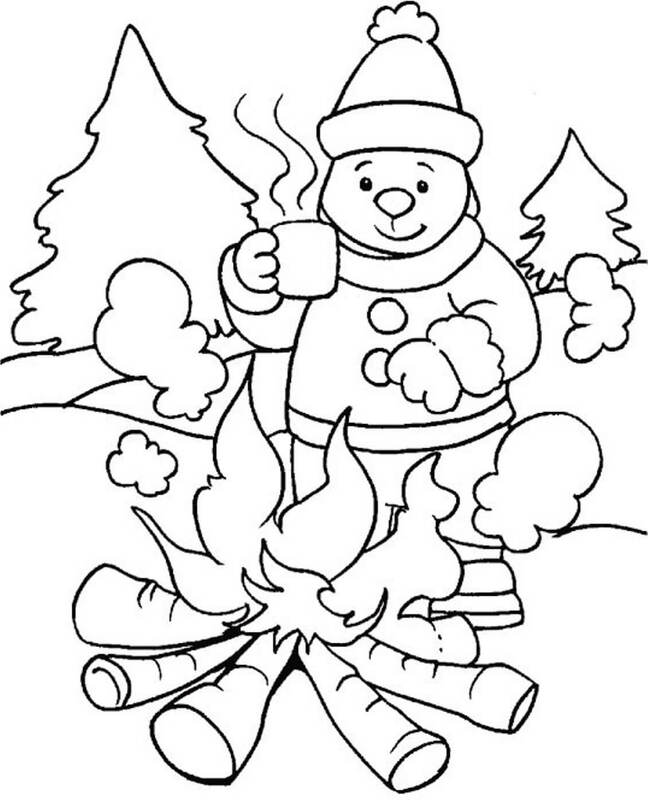 When it gets too cold in the winter season, Baloo loves to start a small fire and keep himself warm. He starts by collecting small pieces of wood and assemble them together. Then he takes out matchbox from his pocket and lights a match. That match is used to light the fire. He then sits near it with his hot chocolate from home and enjoys the weather. For the art show this year in Winter Wonderland, an artist made a big six letter word. It was winter. It was so amazing that people from all over the world came to see it and it quickly became very popular. People get their photographs clicked in front of it and admire the art. Bunny family is wishing you a very merry winter. They live far-far away where it snows during the winter season. They wanted to send everyone a wishing card, but they ran out of colors. 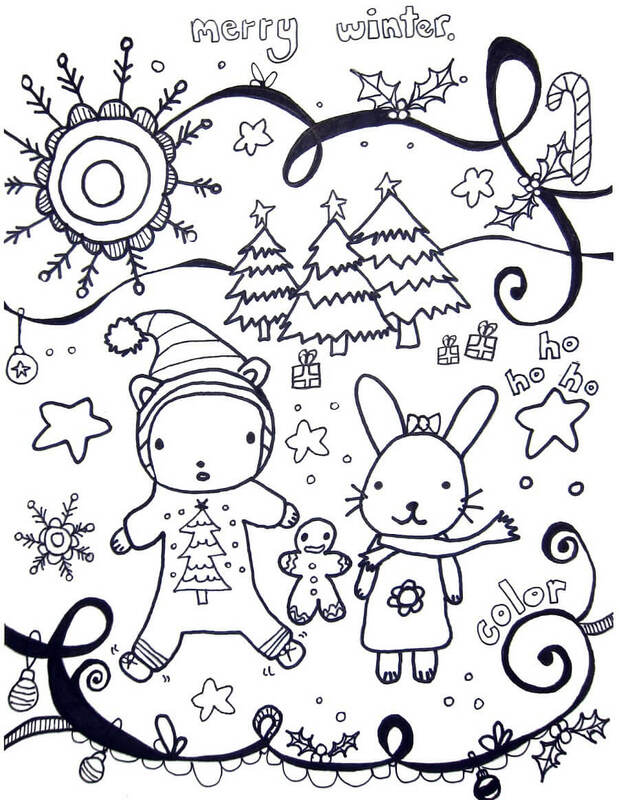 Will you be kind enough to color this card so that they can start sending it to their loved ones? 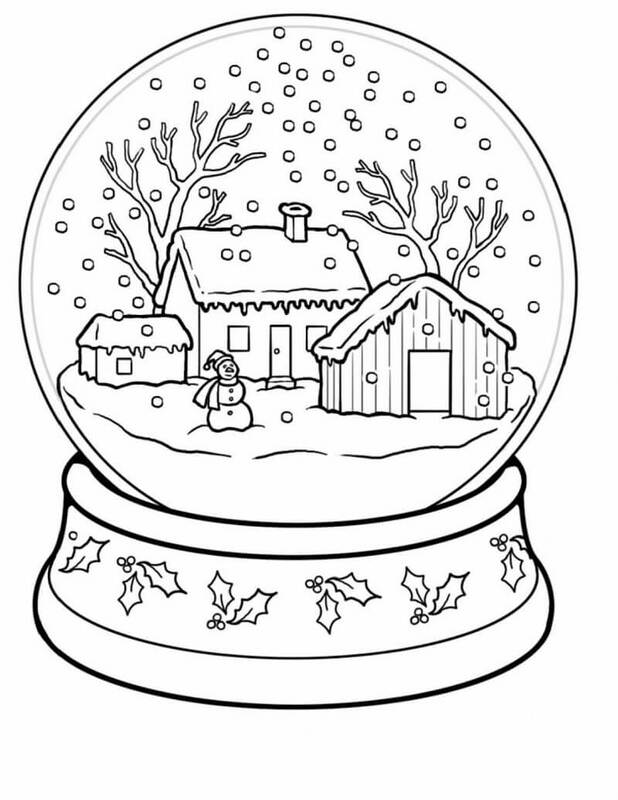 Snow globes are pretty little glass balls where snowman lives. He loves his home as it is always winter there. The snow falls all the time and his house never melts under the sun. He lives there with his snowmen family and enjoys watching outside people from the glass. Remember, coloring is required for the overall development of kids, which includes cognitive and fine motor skill development as well. 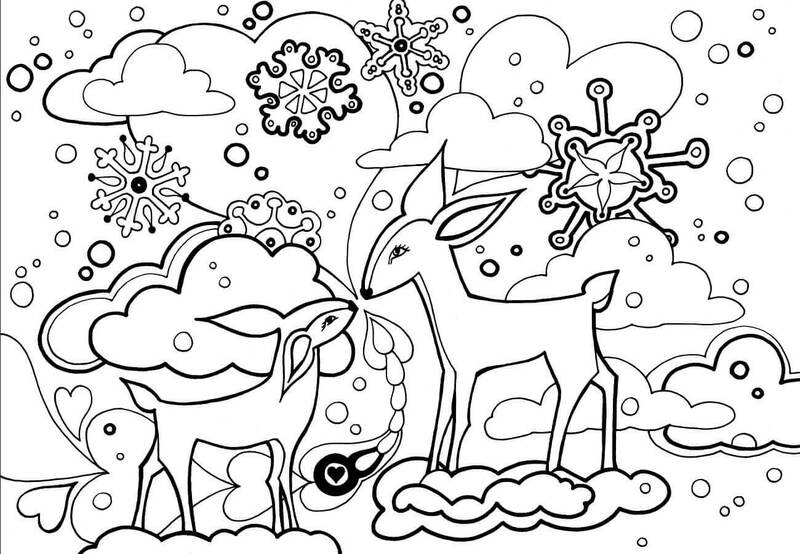 Since kids must be on holiday right now, this free printable winter coloring pages online would make the perfect activity for them. It will keep them entertained too, that too educationally. 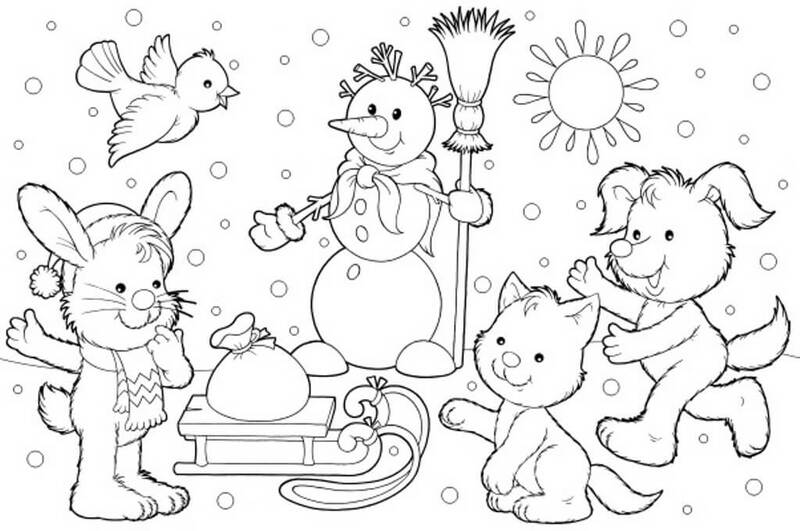 So without wasting any more time, print out all these winter coloring sheets right now!